Everyone's resume has Microsoft Office listed under their list of skills-but how many people can say they truly know how to use it to work smarter and more efficiently? Now, you can: we've got the Microsoft Office 2016 Certification Training Bundle for over 90% off at Escapist Deals. Stand out with skills in Access, Excel, Outlook, PowerPoint, and Word that hiring managers love to see. You'll get 162 lessons in total, teaching you everything from mastering formulas and calculations in Excel and building databases in Access, to mail merging in Outlook and creating professional slideshows in PowerPoint. You'll get trained by instructors with a minimum of 15 years of experience, and you'll have the flexibility of going through the material-including multimedia presentations, quizzes, exam simulators, flashcards, and educational games. Master Microsoft Access, Excel, Outlook, PowerPoint, and Word. 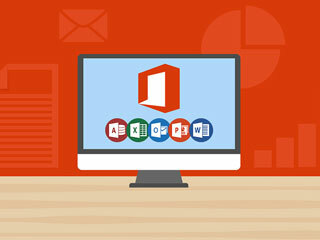 Get the Microsoft Office 2016 Certification Training Bundle for $39 at Escapist Deals.